Kip Meadows is the founder of Nottingham. Within the EOS system, Kip is our lead visionary and principal consultant. There is nothing he enjoys more than a “what if” and “can we solve” conversation with a new or existing client Kip was student body president of his local high school, followed by a post graduate year at Haileybury College in Hertfordshire, England before graduating from Duke University with an A.B. in Economics. Since 1980, he has missed only one ACC Basketball Tournament and only a handful of home games at Cameron Indoor Stadium. 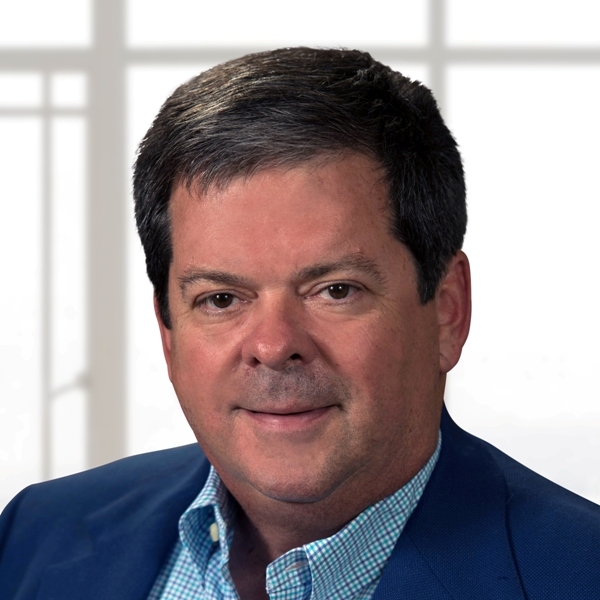 After business school at Wake Forest University, Kip co-founded Insured Benefit Design in Raleigh, NC in 1983, focusing on qualified and nonqualified insurance structures. In 1985, he joined Robinson Humphrey because of their industry leading investment management consulting practice. Two years later, joined Raymond James as the youngest principal of an OSJ in the RJ system. Shortly thereafter, Kip repurposed the Nottingham Company when he became interested in the need investment advisors expressed for an efficient way to pool separately managed accounts. Nottingham has focused on the various structures available for pooling investment assets since that time. Kip has been active as a volunteer for Duke, serving as chairman of the Alumni Admissions Advisory Committee in Eastern North Carolina for 22 years, board member of the Alumni Association, and an active Iron Duke and frequent writer of letters for deserving undergraduate applicants. He has also been active in entrepreneurial development, named Northeastern (NC) Entrepreneurial Roundtable Young Entrepreneur of the Year in 1988, two-time finalist for NEER Entrepreneur of the Year, mentor in both the Duke undergraduate entrepreneur program and Economics Department thesis review program, and currently serving on the board of the Raleigh Durham chapter of Entrepreneurs Organization. Kip continued volunteer leadership only a few years after receiving his Eagle award with multiple leadership positions at the BSA unit, district, and council level between 1985 and 2007. He has helped organize the investment foundations of two Episcopal parishes, currently serving as Treasurer of the Holy Michael Foundation of St. Michaels in Raleigh. His favorite hobbies include sailing, and he has been helmsman for four national championship campaigns. Kip has served as both Treasurer and Class President for two one design classes. Kip is also involved in aviation as an instrument and multi-engine rated pilot. Kip loves his rose garden and a rusty golf game, especially watching in Augusta, Georgia where spring begins.